Generate 100% of your electricity needs from clean, responsible solar - for free! Residential solar is an amazing opportunity for District of Columbia homeowners. There are a variety of benefits, and DCSV is here to help make those benefits accessible to you. Residential solar systems harness the energy potential of the sun, providing clean, renewable energy for your household. This reduces your home's - as well as DC's - dependency on other, non-renewable energy sources. As more and more homes and businesses adopt solar and other renewable energy sources, DC will become cleaner and greener. Energy Savings - For Free! As your residential solar system produces electricity, your home has first priority to use this electricity to power your lights, air conditioning, appliances, etc. Whatever electricity you do not need at the time is distributed back to the grid - and your net usage from the grid goes down! Your monthly electricity bill will likely decrease, as residential solar systems have the potential to produce a large portion - if not all - of your home's electricity needs. Residential solar has the added benefit of increasing the resale value of your home. Since a potential buyer would have access to free solar electricity, they are often likely to pay more for the home. Additionally, solar systems can potentially protect your roof and extend its lifespan - minimizing the need for repairs and lengthening the time between roof replacements. 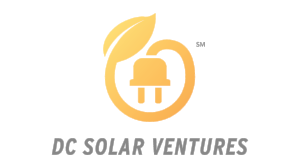 Get in touch with us to learn more about how DCSV works and whether we can help you go solar for free!